He has the air of someone who spent his high school lunch breaks in the library, yet Oliver Letwin is leading a band of revolutionaries who have seized control of the Brexit process from Prime Minister Theresa May. Like Letwin, many in the group of rank-and-file politicians are quiet and unassuming characters, with an encyclopedic knowledge of how Parliament works. On Monday night, they staged a constitutional coup that will trigger a voting process designed to identify a new Brexit blueprint that can win a majority. Along with House of Commons speaker John Bercow, who disrupted May’s plans to get her deal through Parliament, these unlikely rebels have overturned the way Britain is governed and now have the power to set the direction of Brexit. The mastermind of Monday’s putsch, Letwin is traditionally a party loyalist. David Cameron put him in charge of his Brexit unit the day after the 2016 referendum, but he was sidelined a month later when May took power. Since then, he’s been used by May’s team to broker deals between the government and pro-EU rebels. In January, however, he broke ranks to vote against party instructions to prevent a no-deal split from the EU. 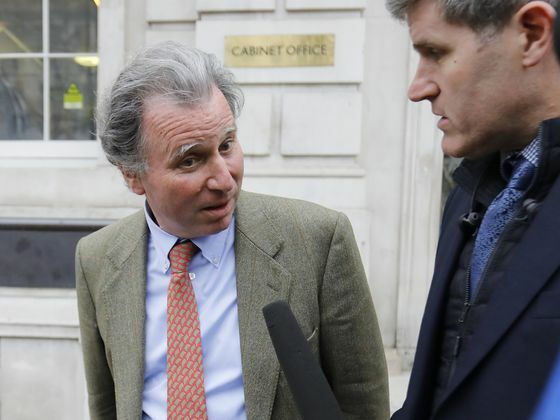 A former minister, Letwin, 62, is known for his intellectual acumen, though he can sometimes appear scatterbrained. He was once caught disposing of confidential files in a trash can in a public park and in 2002 was conned into letting a burglar into his house at 5:15 a.m. The thief made off with Letwin’s wallet. When he was appointed treasury spokesman for the Tories in 2003, he initially tried to keep his role as a director of N.M. Rothschild & Sons Ltd., before realizing during an interview that he wouldn’t be able to ask the government questions about banking. He quit the bank that day. Letwin served in Margaret Thatcher’s policy unit in the 1980s, when he was involved in designing the controversial “poll tax’’ that was a factor in her downfall. Government documents released in 2015 showed he had blamed the 1985 Broadwater Farm riot on “bad moral attitudes’’ among black communities. He apologized unreservedly for the comments. Letwin’s triumph on Monday wasn’t universally welcomed. 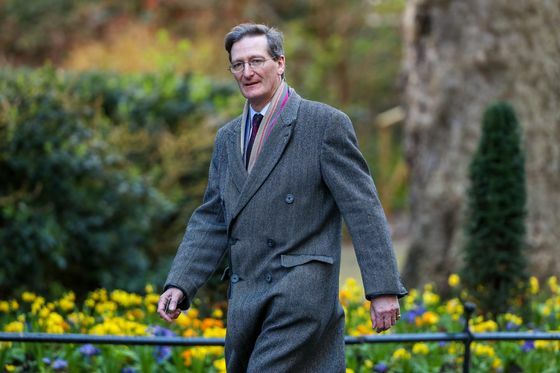 One of his Tory colleagues, David TC Davies, suggested Letwin “now seems to have installed himself as a kind of jobbing prime minister,” and asked how he could be held to account. Grieve, 62, the courteous and immaculately suited former attorney general, is a surprising revolutionary. The Oxford-educated son of a former Tory lawmaker, he has impeccable establishment credentials. A former Labour cabinet minister who’s been scrutinizing the details of Brexit, Cooper is an outspoken critic of the Conservative government’s policy, particularly when it comes to the impact leaving the EU could have on national security. As chairwoman of Parliament’s influential home affairs committee, Cooper, 50, has her own standing and represents the moderate wing of Labour Party thinking. She was beaten to the party leadership by Jeremy Corbyn in 2015 but her ability to forensically question the prime minister and amend government legislation has led some of her colleagues to wish she could take his place. A vocal feminist, Cooper has a portrait of suffragette Emmeline Pankhurst hanging in her Westminster office. The pro-EU chair of Parliament’s Brexit Committee, Benn, 65, has gleaned a comprehensive understanding of how the legal processes of the departure work — and their consequences. He’s no ally of Corbyn, whose hardline brand of socialism is more in line with the politics of Benn’s father, Tony, a cabinet minister in the 1970s. Benn junior served in the cabinets of Tony Blair and Gordon Brown, Labour’s more centrist prime ministers. 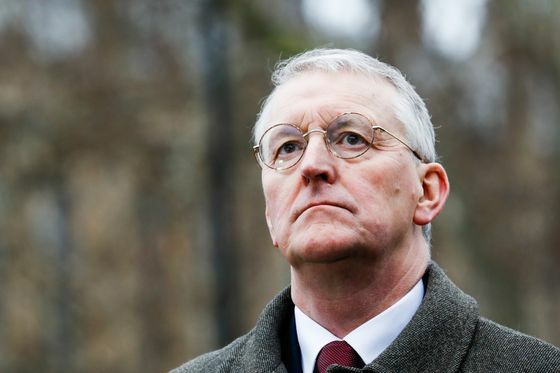 Teetotal and vegetarian, Benn has consistently spoken out against a no-deal Brexit and in favor of closer ties to the EU than May’s plan allows. On Monday, Benn listed the Brexit options he could support as membership of a customs union, a Norway-style arrangement, a single market and customs union hybrid, and a second referendum on any deal reached with the EU. Tall, vocal and one of the earliest openly-gay MPs, Boles represents the modernizing wing of the Tory Party. He infuriated grassroots activists by taking part in cross-party talks and resigned from his local Conservative association this month -- although he is still a Tory MP. He describes himself as a “blend of egghead and hedonist, of country boy and metrosexual” and served as a minister in Cameron’s government. While Boles, 53, backs May’s deal, he suggests that as it lacks Parliamentary support, the premier should “pivot’’ to a Norway-style agreement with the European Union. He has said scrapping Brexit would be “a huge mistake” and pledged to do “everything in my power” to stop a no-deal divorce.